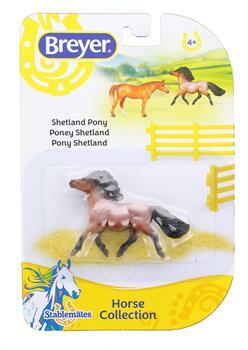 The Shetland pony is a breed of pony originating in the Shetland Isles. Shetlands range in size from a minimum height of approximately 28 inches (7.0 hands; 71 cm) to an official maximum height of 42 inches. This model is a must have for fans of Breyer Stablemates horses.